Since 1982 Daniel Ambrose has been an leader of publishing industry innovation and a coveted speaker at industry events. Today, Ambrose is most often engaged to present or speak on digital strategy for media companies and on how to combine multiple media forms in a cohesive and synergistic strategy. 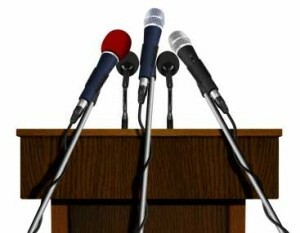 Ambrose is often asked to speak at sales meetings to inspire and instruct advertising sales and marketing staffs on how to sell advertising more effectively with new ad sales skills, by better understanding their competitive environment, and by developing innovative solutions for advertisers. 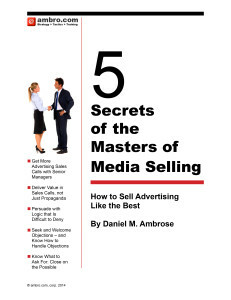 Besides addressing hundreds of advertising sales and publishing teams, Ambrose has spoken before the Magazine Publishers of America, Software Publishers of America, Federation of International Periodical Publishers, Association of Alternative Newsweeklies, City and Regional Magazine Publishers, Minnesota Magazine Publishers Association, Florida Publishers Association, Horse Publishing Association and the Alliance of Area Business Publishers. Please contact us for more information on speaking engagements.